By now most Americans have filed their taxes and are dreaming about where to spend their refund. Over 40% of us get a tax refund with an average of $3000. While many will use their refund to pay down debt, funding home improvement projects and investing in home upgrades is popular now that housing prices are on the rise. Assuming that you are receiving the average tax refund, here are 5 ways to maximize its impact when improving your home. Home appliances that use water, such as water heaters, dishwashers and laundry machines have a lifespan of 8-15 years. If they fail while in use, (and like toast falling butter side down they will), the flooding can cause a significant loss, insurance claims and aggravation. Proactively replacing old equipment can save money in the long run, and $3000 will provide for lots of options. You can upgrade your water heater to a tankless water heater and enjoy never ending hot water, or stay with a standard tank and have funds left over for other appliance upgrades. 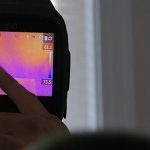 A home energy audit is a smart way to identify how to spend the least to get the most in energy savings. Using technology to analyze energy use, air leakage and other problems with the home, the auditor can project your return on investment for upgrade projects and help you to prioritize. Energystar.gov recommends hiring a professional auditor when you want to get specific recommendations for improving the efficiency of your home. The cost of a full audit is about $300.How do you know you’ll really get the energy savings modeled by the home energy audit? Ask the auditor for a retest of the house after upgrades are completed. He or she can see if the new upgrades will provide the energy savings projected. In the Western Washington area, Washington Energy Services is among the companies that offer this service. Focusing on home energy upgrades that qualify for utility rebates can stretch that tax refund. In the Puget Sound area, utility rebates range from $10 to $1800. There are rebates for water conserving toilets and shower heads, laundry equipment, as well as heating equipment, windows, and insulation. All of the Washington State electric and gas utilities offer rebates, although many require use of their registered contractors to install the products. This is actually a good thing, since those contractors are well qualified, trained and vetted by the utility. You can expect utility registered contractors to guarantee their work and to do a great job. When realtors report on the home improvement upgrades that add to house value, top of the list for return on investment is replacing the entry doors. The cost to have a beautiful new front door professionally installed starts at around $1800-2200, but doing so can provide 100% return on investment or more. The doors themselves can often be purchased for less at a DIY store, however fitting them with matching jambs and creating a problem free, tight installation can be challenging, even for a handy homeowner. A hobby room, workout space, garage or basement will give you more joy if you are comfortable using it. The furniture, colors, light and even air flow in your workspace can make a difference. Adding a single window for natural light is uplifting and typically less than $1000. If you find that you are too hot or too cold and it’s turning you away from using the space, a ductless heat pump can increase year round comfort. Ductless heat pumps provide energy efficient heating and cooling, and they run on electricity. Perfect for bonus rooms, basements and other rooms where duct work wasn’t run when the house was built. Big or small, there are plenty of home upgrade ideas to suit every tax refund level. For more information on these and other energy saving ideas, contact us today. Looking to replace our front door. Single wide, opens up from right side. Want metal door, NO wood doors…heavy insulation & new door locks (coded entry), keyless entry preferred. Please contact me at (425) 346-3797. Late mornings to early afternoons ONLY for any phone calls or contacts. Michael, thanks for your inquiry about doors. We will give you a call. Regards!